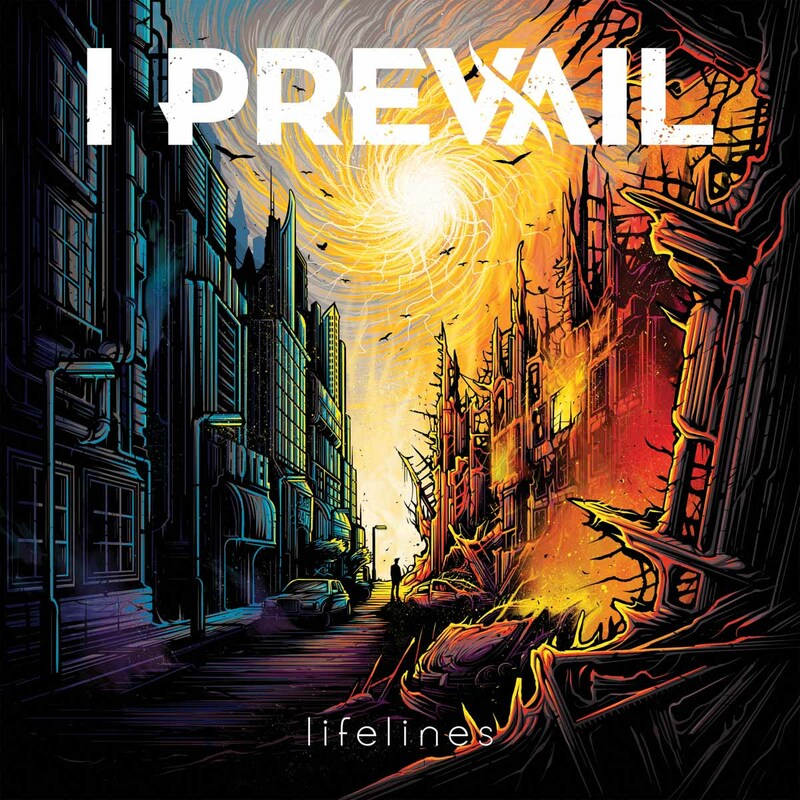 I Prevail were catapulted into the spotlight last year thanks to their cover of Taylor Swift’s “Blank Space” becoming a surprise hit on Sirius XM. Now their first full-length, Lifelines, attempts to cash in on that popularity. Alas, it’s not a particularly successful attempt. Leadoff track “Scars” is one of the better songs offered here. The chorus hook is relatively catchy, but even if it’s one of the stronger tracks on Lifelines, it’s still only OK. “Stuck In Your Head” is a standout, with a hook indebted to A Day To Remember and a huge singalong chorus that fits the song title. The title track has a promising start, with a stuttering lead riff, but the verses are as bland as music gets. The chorus is a pretty good Issues impersonation, but it’s not enough to salvage the track. “Come And Get It” has some nice harmonics and the rapping cadence to the unclean vocals snags your attention. The chorus is so forgettable that it ruins the song, though. “Chaos” feels like two different songs: the verses are downtempo and drifting, and the chorus is huge and uplifting. While that’s not an unusual combination, the chorus hook doesn’t gel with the rest of the song (and while we’re at it, the lyrics are painfully bad). “Alone” tries to be a Linkin Park ballad but lacks the charm, and “Outcast” could be fun live (the chorus can get people jumping, for sure), but it does nothing special. “RISE” is yet another singalong anthem, and yet again the lyrics are just embarrassing. “Already Dead” starts with a nice chunky riff and some of the better screams on the album, but the lyrics are worse than bad, they’re outright awful. There is a right way and a wrong way to handle songs about wishing to commit murder, and this is definitely the wrong way. “Pull the Plug” has a bouncy riff, but we’ve already heard nearly the same thing on a half dozen tracks already. “One More Time” is faster and poppier, with an impressive verse that could have come from the recent Blink-182 album, but the chorus falls back into inescapable blandness. “My Heart I Surrender” is a ballad, complete with string section, and it manages to make a generic style sound even more generic than usual. Closing track “Worst Part of Me” is hands down the album highlight: it successfully combines a grinding nu-metal hook with a big but not anthemic chorus. Instead of trying to be a radio song, it embraces mood and texture and thrives for it. The combination of the distorted cleans and background screams also works well, something they struggle with on the rest of the album. Unlike most other metalcore bands, I Prevail‘s clean vocals are on the raspy side as opposed to aiming for angelic highs, which is ostensibly a plus, but the production on those vocals is so thick that they come across as robotic rather than edgy, and that, combined with the lack of hooks and cringe-worthy lyrics, sinks this album fast. The elements of nu-metal and radio rock they inject are likewise uninspired: it’s been a while since I’ve heard an album this bland. Lifelines is ultimately lifeless.